The stall-prevention system on a Boeing 737 Max jet automatically switched on before the plane crashed in Ethiopia this month, the Wall Street Journal reported, citing initial findings from the plane’s flight data. The conclusion was relayed at a briefing at the US Federal Aviation Administration on Thursday and is the strongest indication yet that the same system malfunctioned in both the Ethiopian Airlines flight and the Lion Air disaster in Indonesia in October, the newspaper said. representative for Boeing said the company was unable to comment on the investigation. 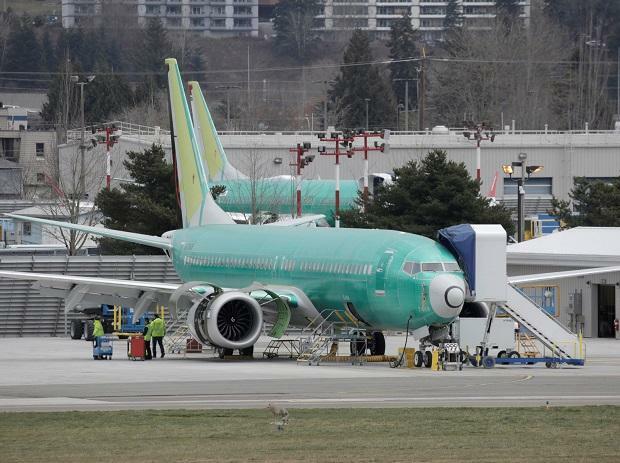 The US planemaker, working with regulators, has spent months refining the 737 Max’s software since data from the Lion Air crash indicated the stall-avoidance system had repeatedly tipped the nose down before pilots lost control. Boeing was close to a software fix when the Ethiopian Airlines jet went down on March 10. Air-crash experts have been using flight-data and cockpitvoice recordings recovered from the Ethiopian Airlines wreckage to piece together events leading up to the tragedy, which killed all 157 people on board. Parallels with the loss of an identical Lion Air plane led to a global grounding of the Max model and have given the probe added urgency. The Ethiopian investigation has focused on the anti-stall system, which in the case of the Lion Air crash exerted more and more force until the crew lost control. The software had kicked in on the same aircraft the day before, when an offduty pilot riding in the cockpit was able to save the plane by helping to cut the power to the rogue system. The feature, known as the Maneuvering Characteristics Augmentation System, was designed to keep the Max from climbing too steeply and stalling.